Today we're featuring a first-time teatime story from one of our Brave Writer moms! 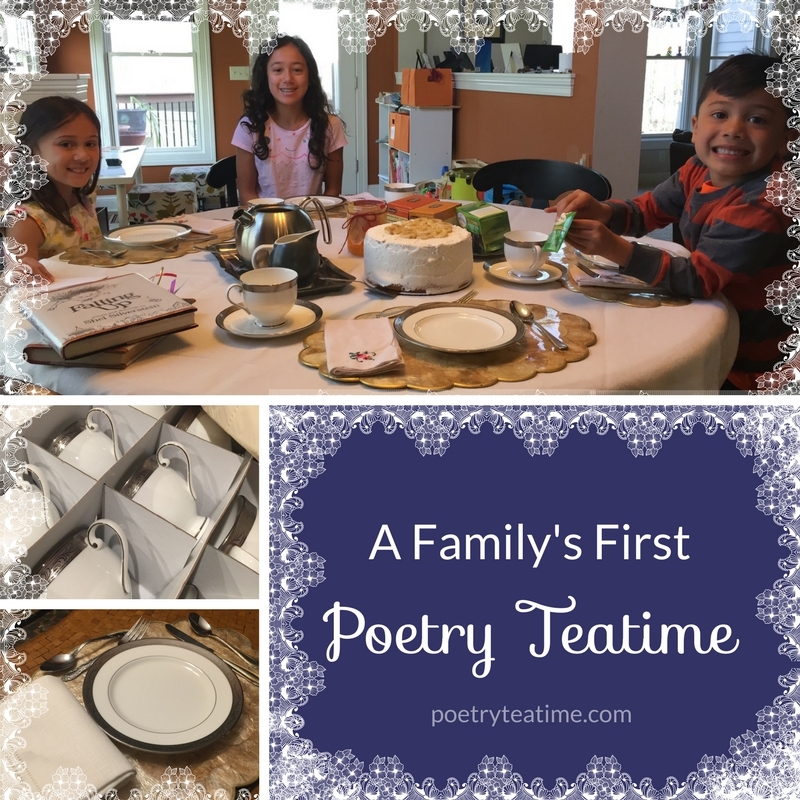 It's so fun to hear about new teatime traditions starting in families. We held our first Poetry Teatime this morning and it was a success! We pulled out our wedding china that had NEVER BEEN USED! My 7-year-old was in charge of this week's teatime (hopefully this will be weekly!). She baked the cake and everyone picked a poem to read aloud. By the end, my 7-year-old memorized hers, my 12-year-old also memorized her poem, and my son read aloud his choice from Shel Silverstein, a favorite poet of the kids. I read The Road Not Taken by Robert Frost and we had a great discussion. We ended by reading aloud from our latest fiction, and the kids had a great time. They were all already choosing what to make for the next teatime and which friends they'd like to invite! 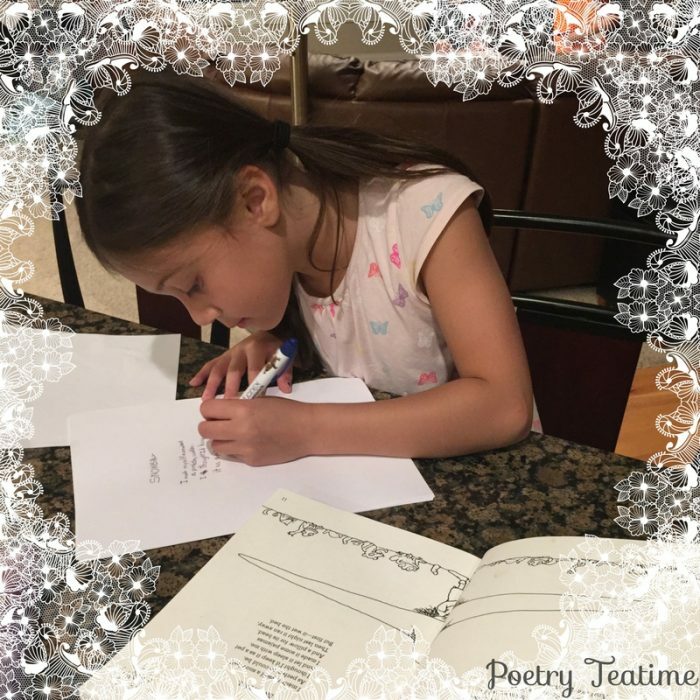 Thank you so much for bringing fun and anticipation to our homeschool and we're looking forward to our next Poetry Teatime.